Open Season by Maryann Miller, a Mysterious Review. 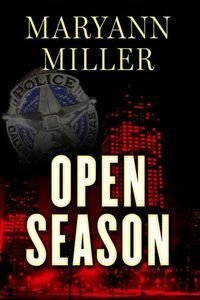 Review: Homicide detectives Sarah Kingsly and Angel Johnson, newly assigned as partners, tackle a high-profile case when a serial killer starts targeting mall employees in Open Season, the first mystery in this series by Maryann Miller. The two detectives are a mismatch from the beginning. Sarah, white, an experienced homicide detective, is being investigated for the use of deadly force in which a young black male was killed. Angel, black, newly promoted to detective, wonders if her promotion was due to her ability as an officer or the color of her skin. Their superiors believe it is good public relations to pair them together … and both resent it. The fact that the case to which they're assigned is being closely followed by the press doesn't help: someone has been killing, apparently at random, workers at local malls, the only clues being a handwritten note left behind suggesting more to come, and that the victims were garroted with piano string. Open Season is a fairly unusual serial killer thriller in that the crimes are clearly secondary to the tale of two women, who need to come to terms with their current standing as detectives whose lives have been dramatically altered by external forces, and their new relationship as partners. It is styled as a police procedural, and for the most part a good one at that, though there's a sense that the identity of the killer and the path to nabbing him isn't all that important to the story being told. Rather, the spotlight here is on whether Sarah can get past the fact she killed a teenager — and a black one at that — in the course of performing her job, and whether Angel can be objective in treating suspects equally, regardless of race. It's a tricky balance, and it doesn't always work, coming off a bit heavy-handed at times. Now that the character introductions have been made, readers will likely expect the focus of the next in the series to be more on the crime, its investigation and resolution. Anything less would be exceedingly disappointing, as these are two talented detectives worth following. Acknowledgment: Maryann Miller provided an ARC of Open Season for this review.